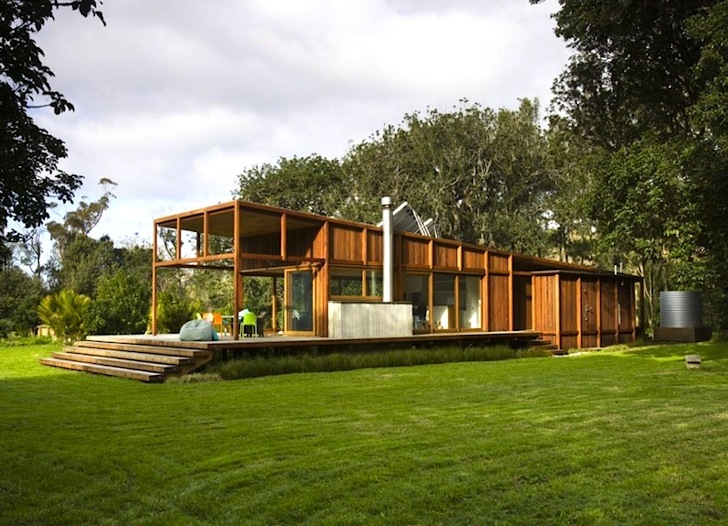 Crosson, Clarke and Carnachan are quickly gaining a sterling reputation for delivering striking sustainable homes in ecologically-sensitive areas like the Great Barrier Island in New Zealand. 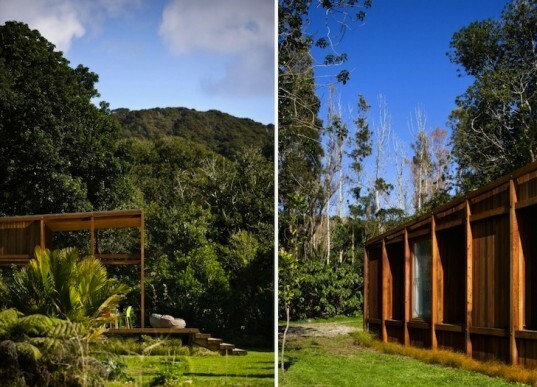 This solar-powered house, which is surrounded by Puriri trees, Blackwoods and other native species, completely opens up to its leafy surroundings, providing ample natural light and cross-ventilation as well as an unparalleled taste of quiet island life. Elevated to protect against floods and constructed of sustainably-sourced timber that references the island’s rich biodiversity, the Great Barrier House is comfortable in both summer and winter. Despite its open plan, low E glass ensures decent insulation even as the air temperature drops outside. To date the client has only needed to use their fireplace to generate ambience as they have felt warm enough. The home is entirely powered by solar energy – as many as nine people have used their laptops and other electronics without having to fire up the backup generator and water comes out of the tap piping hot. Water conservation was taken very seriously in the design and all of the property’s irrigation systems “do clever things,” says the client. For a peak at another exciting but wholesome house, check out Crosson, Clarke and Carnachan’s Whanapoua Sled House. Great! Now get rid of the lawn! Plant native spp. instead.